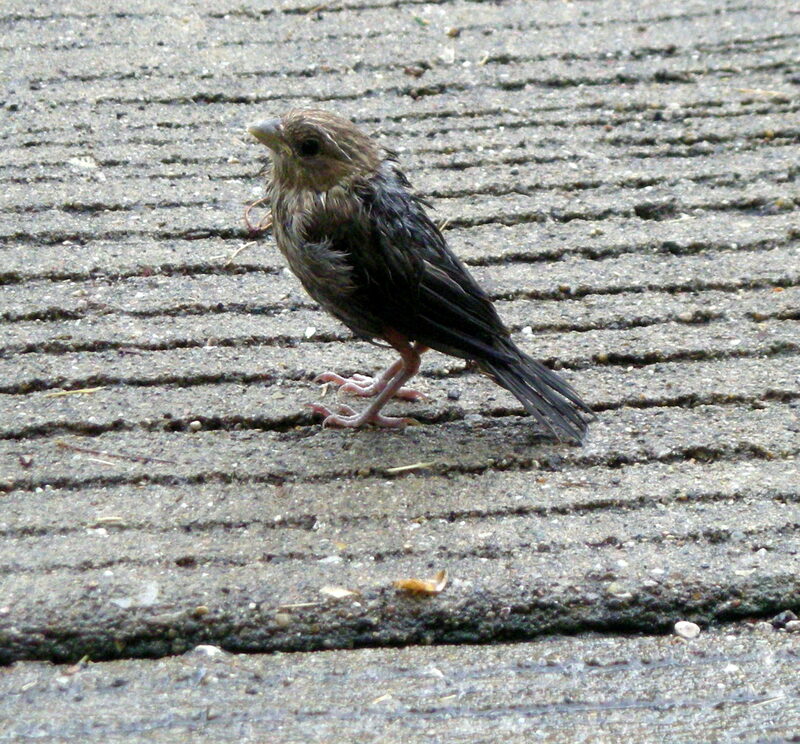 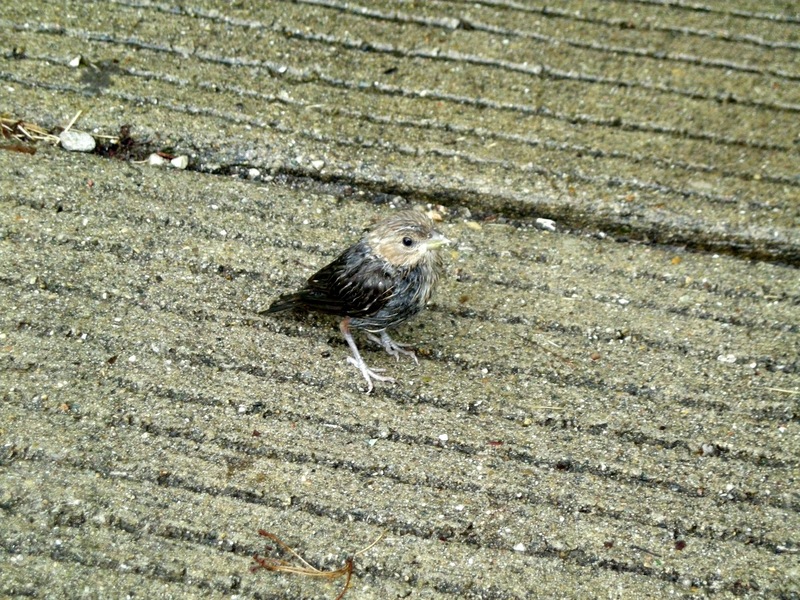 I was walking home after a light rain the other day when I encountered this tiny bird on the sidewalk. 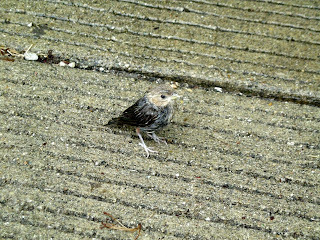 It didn't move as I walked past, except to turn its head to keep an eye on me. 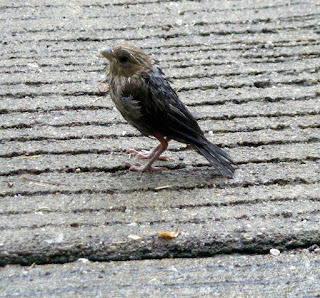 The pictures above are cropped, but it still let me get surprisingly close to take them, looking at me as though it was trying to stare me down.